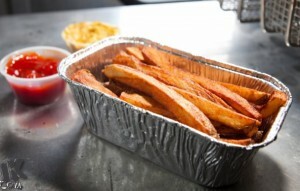 Fry Captain – Washington, DC (@frycaptain) – Food Truck Talk – Searching for the best foodtrucks! 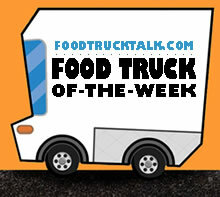 Congratulations to Fry Captain as FoodTruckTalk.com’s Food Truck Of-The-Week! The Fry Captain is not currently operational. The Fry Captain has become a super hero among their many Washington, DC followers by serving a simple menu, but with incredible perfection. The menu at it’s most basic level is simple, French Fries and Milk Shakes. What the Fry Captain has been able to do is take their simple concept to a very high level through the use of creative ingredients and preperations. Let’s start with the fries. They offer reguar fries, sweet potato fries, and the ultimate duck fat fries. If you have never tasted a french fry cooked in duck fat than your life is far from complete as the duck fat adds an incredible consistency and taste to the french fry. French fry traditionalists prefer their fries unseasoned and plain. No objections from us, but the Fry Captain let’s you decide by providing an extensive selection of dips and seasonings. From watching movies we know those crazy Europeans like to dip their fries into mayonnaise, and the Fry Captain complies with spirachi/sesame mayo, curry mayo, Jamaican jerk mayo, horseradish mayo, and mango chutney mayo. Other dipping sauces include truffle ketchup, chili ketchup. sweet and sour mustard, ranch dressing, nutella, marshmellow and a variety of regional sauces such as spanish romesco sauce, korean bbq sauce, carolina bbq sauce and many more. Seasonings that are available include sea salt, garlic salt, onion salt, paprika salt, hot pepper,cajun, and old bay. As you can tell you can visit the Fry Captain many times without getting bored by his offerings. Mix and match the seasonings and sauces to your heart’s content. 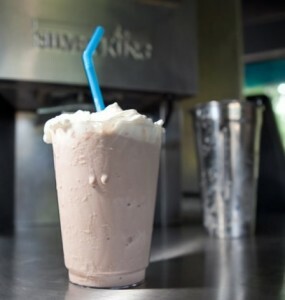 What better to offset great fries than a great freshly made milkshake. The traditional flavors are available as well as neat unusual flavors like Honey Lavender, avocado, sea salt/olive oil, and cinnamon. We love the Fry Captain for taking two great food items and elevating them to a new and spectacular level.